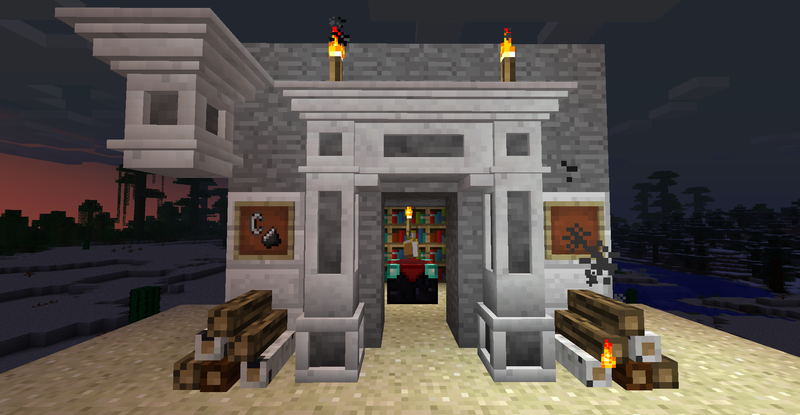 Decorative Marble and Decorative Chimneys Mod will probably make your Minecraft world more joyful by adding two simple decorative mods that incorporate new base blocks, Chimneys, Fireplaces, and Mantels. 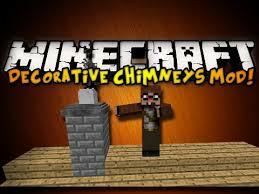 They add several things including a stack of fire wood that can be ignited using flint and steal, Several new marble based blocks, Five mantel segments that can be connected in many different combinations, Chimney blocks that react to several other types of blocks, and finally the Chimney Top decorations used to finish off the top of your chimney. Marble Blocks – Comes in three colors, white, gray, and black. Stack of Logs – Can be ignited with flint and steal or put out with an empty hand, while lit will emit light. 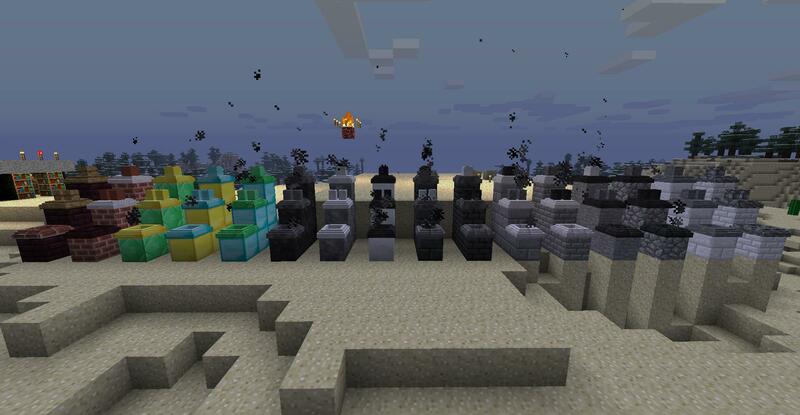 Hollow Chimney Blocks – Comes in 16 textures, when stacked next to or above an Active Furnace, Fire or Ignited Logs, these blocks will start to emit smoke out the top (only works for vertical stacks), also the smoke can be turned on using a red stone signal. Mantel Pieces – Includes five separate mantel pieces that react to blocks near them similar to the fence, pieces include corner, center, plain side, decorative side, and footer. Corner and Center Mantel pieces can be placed upside down. New textures on various blocks. Same crafting recipes. Chimney Top Decorations – These can be used at the top of the Hollow Chimney Blocks to give them a nice finished look, they function just like the Hollow Chimney Blocks. 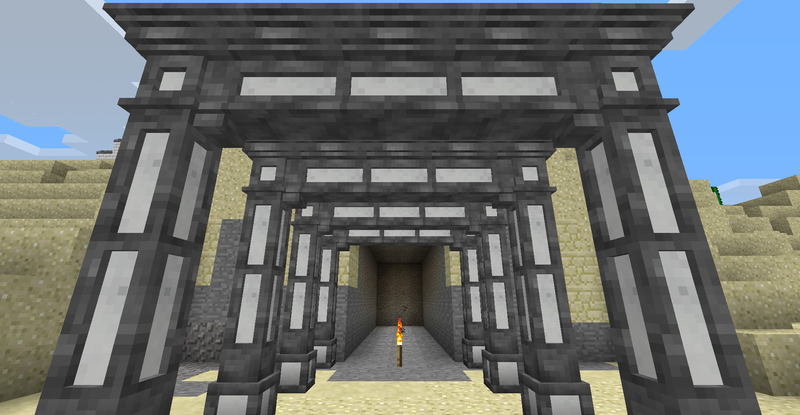 There are also Half Slab and Stair version of all the marble and brick blocks added by this mod. They are crafted using the same recipes as the vanilla versions and function just like their vanilla counter parts. *To ignite the pile of logs simply click on them with Flint and Steel in hand. To extinguish them click on the stack with nothing in hand. 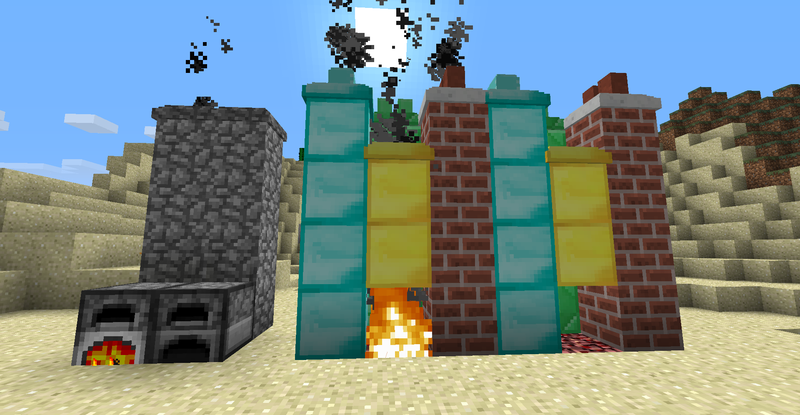 *Stack these adjacent to or above the ignited Stack of Logs, active Furnace, or Fire to turn on smoke effects. Also can be turned on by red stone power. *There is currently no Cobblestone, Emerald, Gold, or Diamond versions of these. 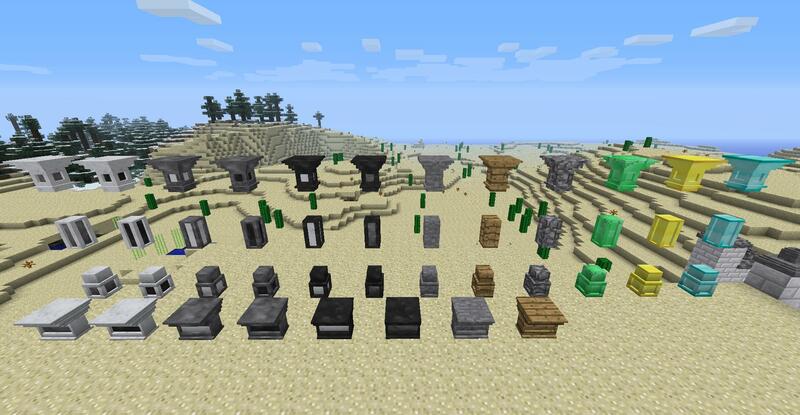 Download Decorative Marble and Decorative Chimneys Mod. Add the Decorative Marble zip (jar) file to the newly created mod folder. 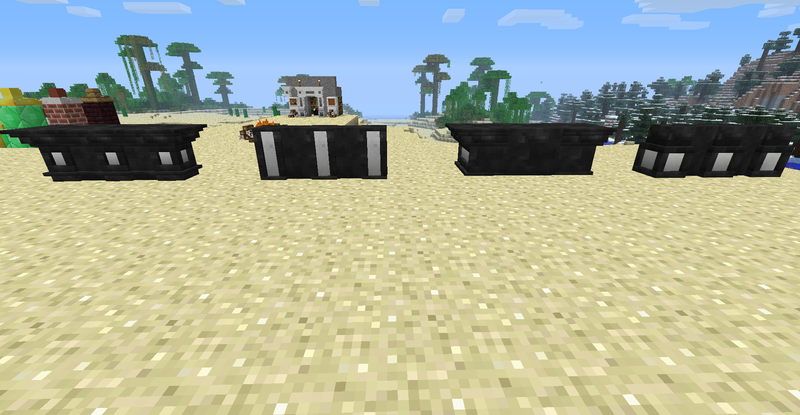 Add the Decorative Chimneys zip (jar) file to the newly created mod folder. Find the config file for Decorative Chimneys and change any Block Ids as needed.